We are all going to die. Morbid, I know. We do our best to avoid thinking about it until we are forced to. Perhaps the way our culture deals with death has something to answer for. Seeing a Body Worlds exhibition in 2009 in London, I realised that an exhibition of plastinated bodies does not just bring us face to face with death, but is an amazing educational experience which can have a powerful effect on us and the choices we make whilst we are alive and kicking. Nearly forty million people worldwide have seen a Body Worlds exhibition, highlighting our never-ending fascination with mortality. You may have seen a glimpse of it in Casino Royal; at the beginning Bond is seen walking through the exhibition. 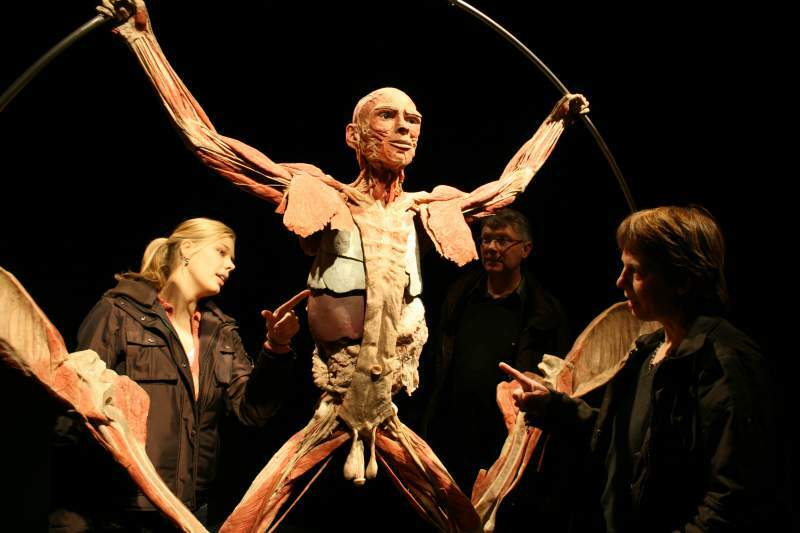 Newcastle’s Centre For Life has pulled off a major coup by bringing Body Worlds Vital to Newcastle, where it has now extended its run until 4th January 2015. It’s a perfect fit for the exhibition as Life pushes the boundaries across a variety of health areas – such as genetics and fertility, and has an amazing science outreach programme. You may have seen Dr Gunther von Hagens performing the first televised autopsy back in 2002 (I can remember watching through my hands, fascinated). In 2012 he re-enacted the crucifixion on TV and is no stranger to controversy. He invented the Plastination technique in 1977, and to date 14,000 people have willingly signed their bodies over to the Institute of Plastination. In a nutshell, bodily fluids and fat are extracted from specimens and replaced with plastics, which allows us to see the internal structures of the body in minute detail. The focus of this exhibition is human health and wellness, with bodies, specimens, organs and body slices highlighting life-threatening illnesses such as cancer, heart ailments and diabetes. It shows us how the lifestyle choices we make can affect our anatomy and physiology, and what happens when things go wrong. It seems very timely; we all know too well the harmful temptations of modern life. Actually seeing the effects of smoking on the delicate vessels of the lungs up close has a much stronger impact than watching a documentary or reading a book. I remember walking around the exhibition at the O2 with a mix of curiosity, wonder, awe and nausea. Seeing the bodies in athletic poses, such as doing gymnastics or running is very odd at first, but extremely effective as the detail of the muscles, ligaments and tendons is mind-blowing. Walking around a corner and seeing a plastinated giraffe was surreal. Linda Conlon, Life’s Chief Exec, says: “Body Worlds Vital fuses art, science and culture and offers a rare opportunity to experience a powerful and remarkable exhibition that helps us to understand the wonder, sophistication and fragility of our own bodies.” It is definitely unique, and I for one look forward to seeing it again. 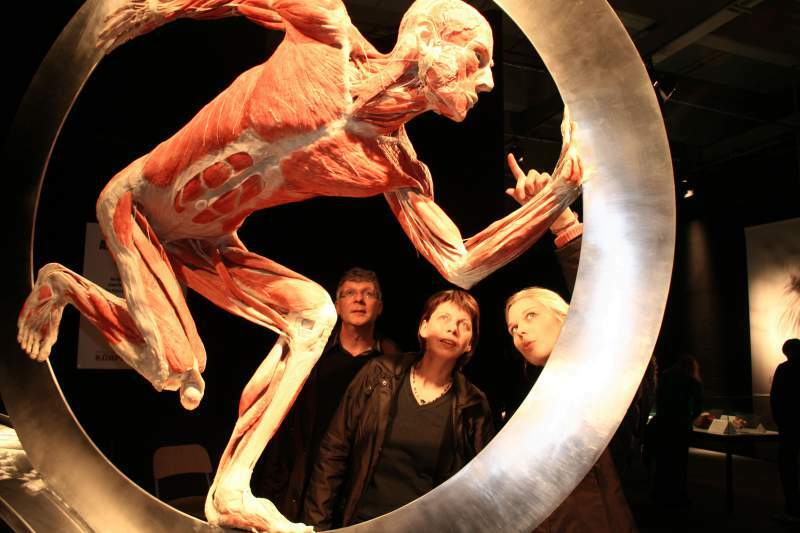 Body Worlds Vital is at Life Science Centre until 4th January 2015.